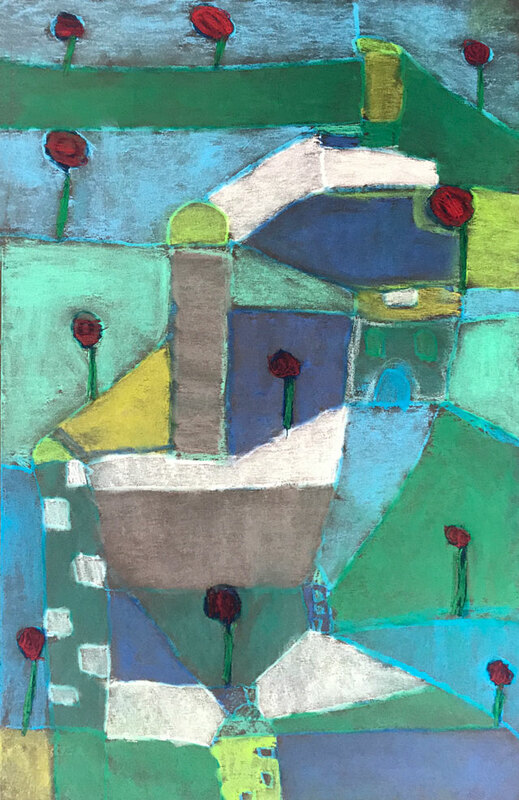 This magical chalk pastel drawing project was inspired by Paul Klee’s “Jardin de Rosas”. 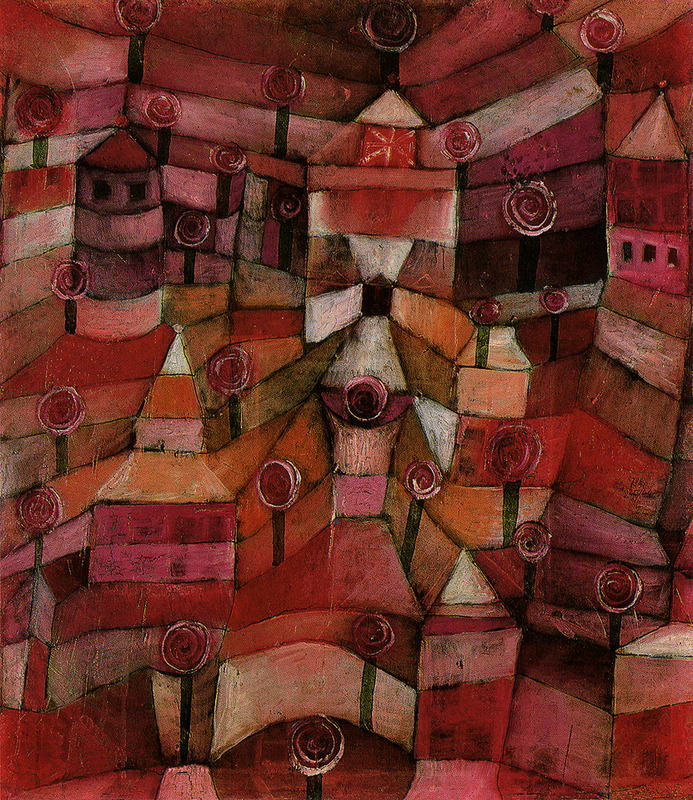 Here’s Paul Klee’s original Jardin de Rosas from 1920. We did this project in our 5-9 yr. old class, but really it’s appropriate for a wide range of ages. It easily lends itself to modification for age and different skill levels. 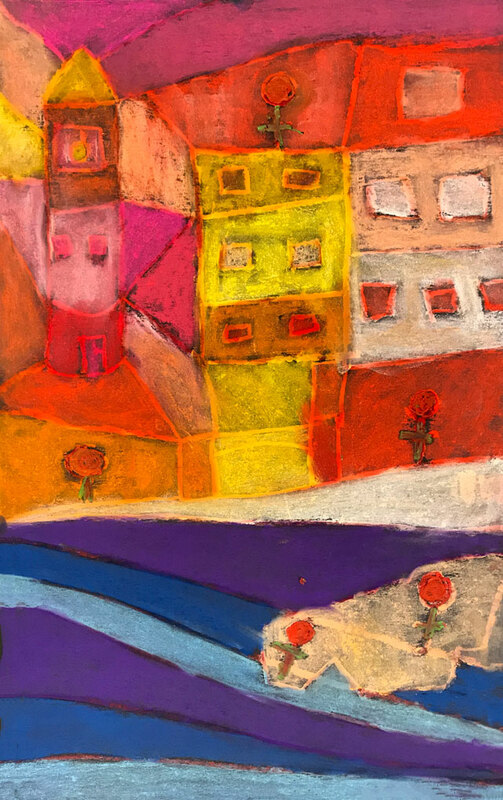 All of our lessons inspired by an artist start with a class discussion and look at the artist’s work. 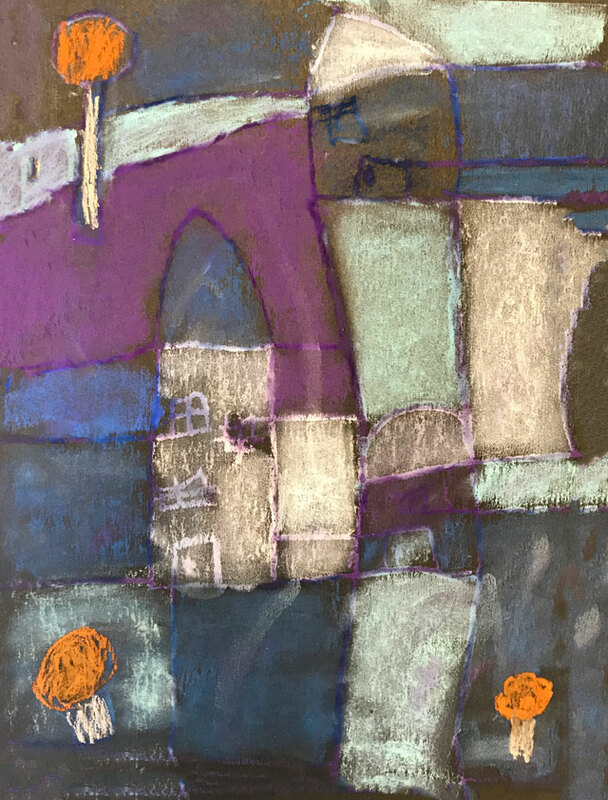 We observe and discuss thoughts about the shapes, color, and images in the scene. 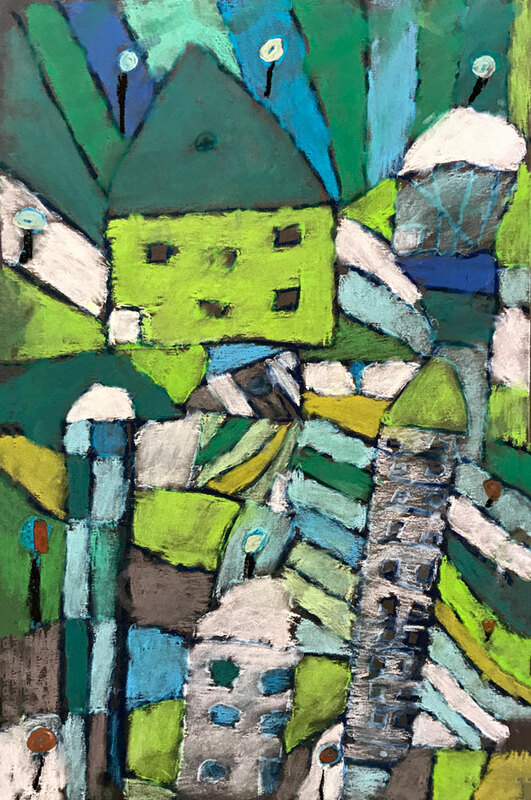 In his original painting, students noticed houses and buildings “hidden” within the scene. They noticed they appeared camouflaged by connecting lines and similar colors. 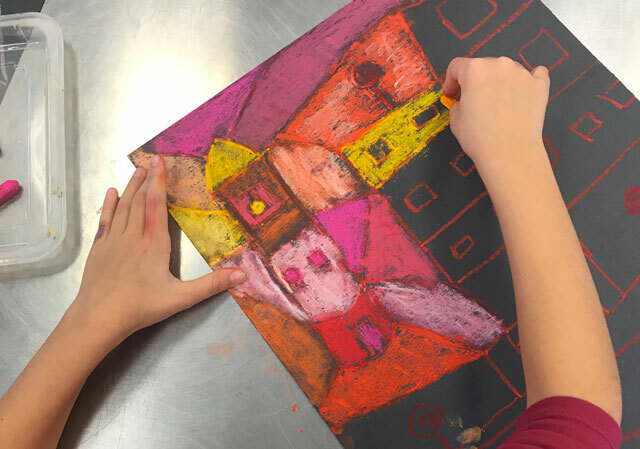 Students used oil pastel to draw their structures using foundational shapes: squares, rectangles, triangles, cylinders. 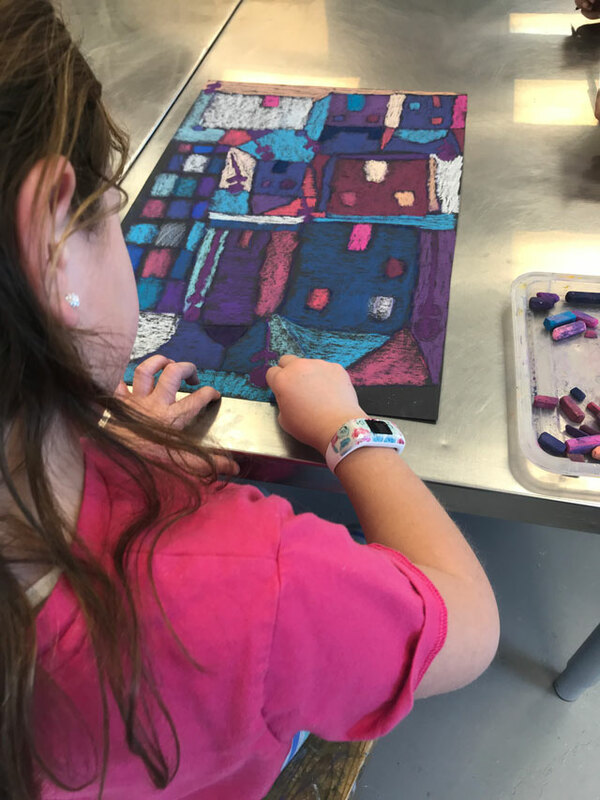 They noticed where are connecting points (where one line meets another), and added faceted lines into our backgrounds that burst towards the edges of the paper. 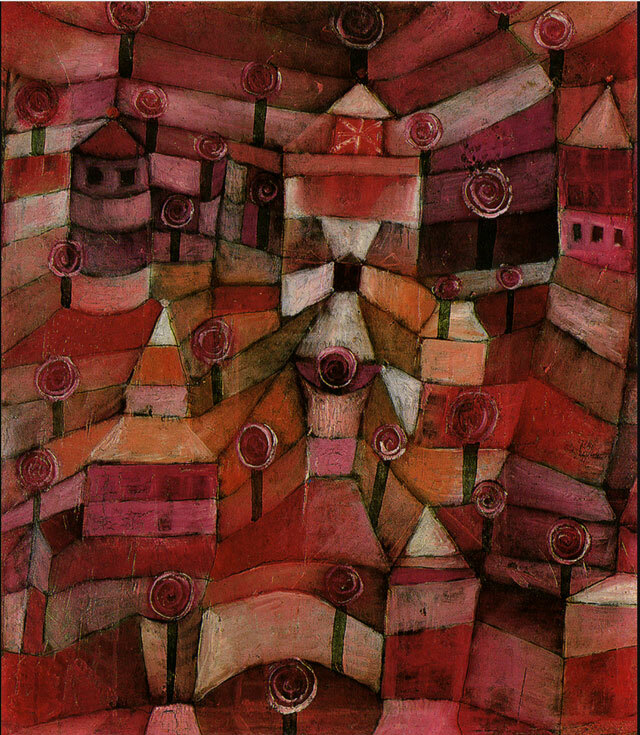 Finally, they added the sphere “rose” or tree accents that inspire the title of Klee’s composition. 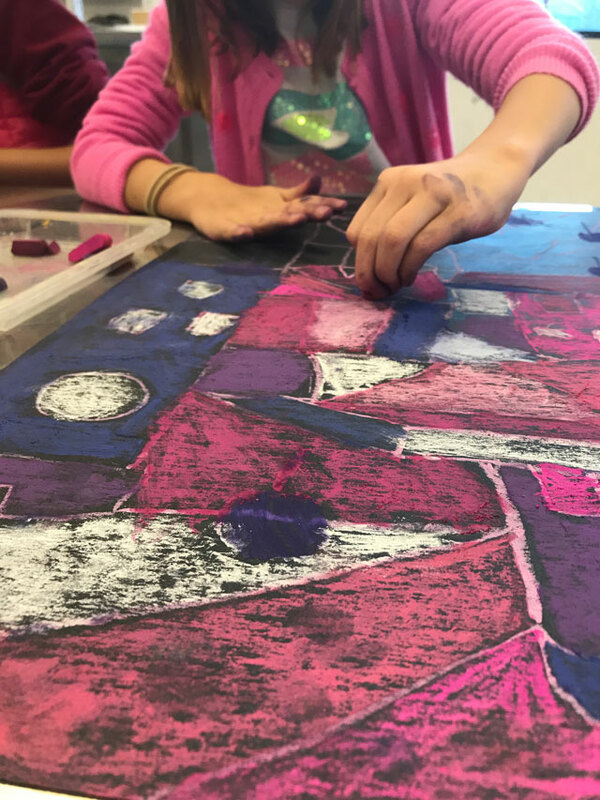 Using chalk pastel, students added color into each section with a limited color palette. 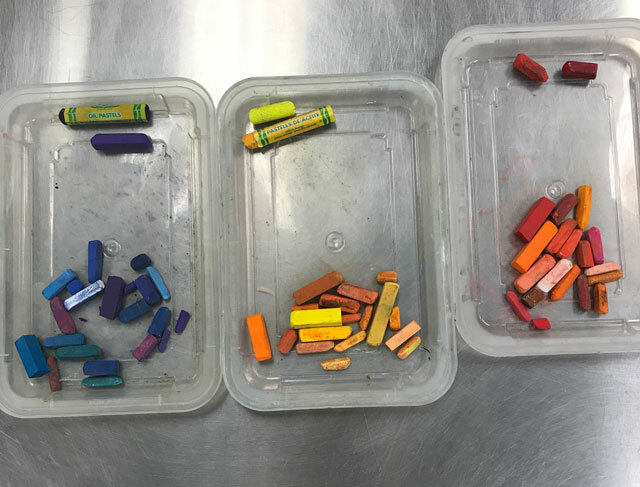 We prepped color groupings of chalk and oil pastel before class for their selection. 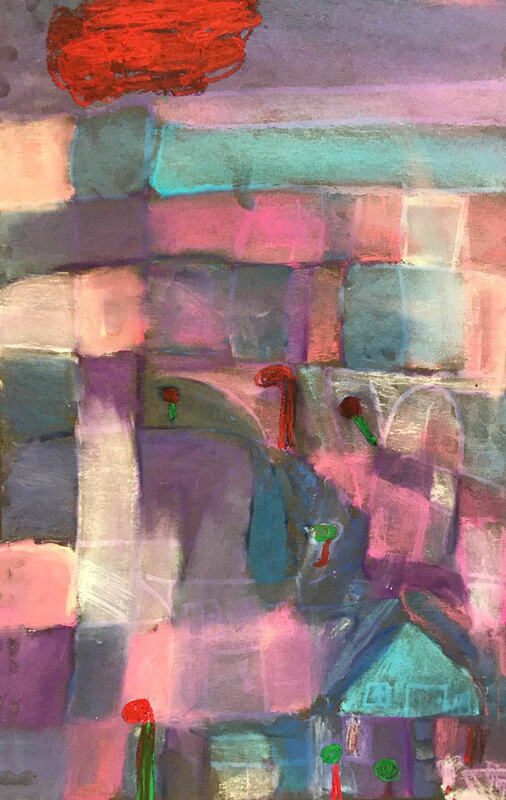 We discussed color theory and how the use of similar colors creates a confusing scene where the viewer must decipher the subject of the painting. The final compositions were truly stunning!